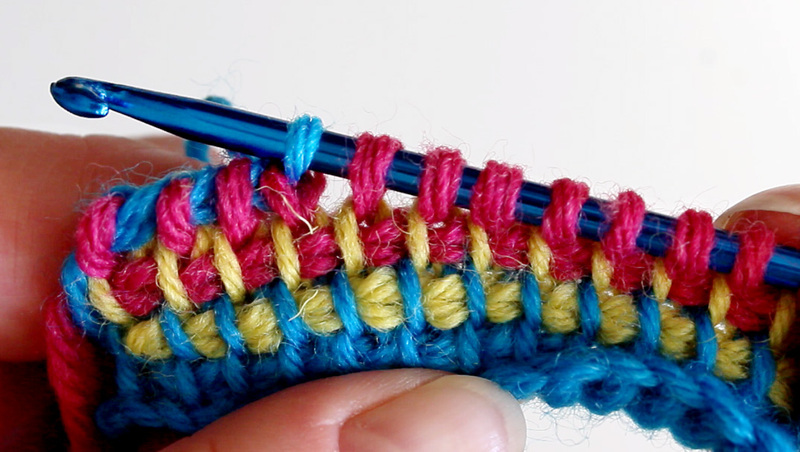 Tunisian crochet is a great technique because it combines some aspects of both ordinary crochet and knitting. There are so many projects you can make using it as technique. I just made two new videos showing how to create multicolour stripes and mitered squares. Both work in any size projects. Tunisian crochet is great for baby blankets or any blankets and afghans, bags, hats, cushions etc. 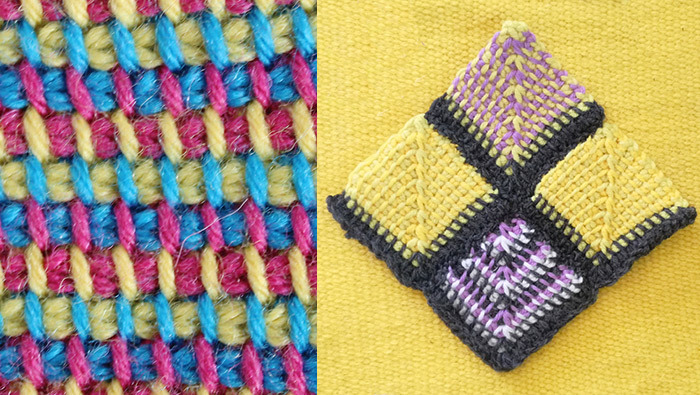 Mitered squares are ideal for using up left-over yarn. Both techniques are also great for using your imagination in the choice of yarn colours. Before going to the videos, here’s a link to the monthly yarn club I recently joined. It is called KnitCrate but each month the lovely wool package includes both a knitted and crochet pattern. Using the code TUULA20 you get 20% off your first order. 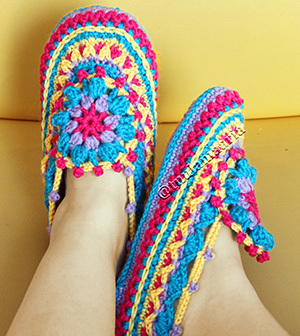 You can make small Tunisian crochet projects using ordinary crochet hooks. For a larger project you need special Tunisian crochet hooks. 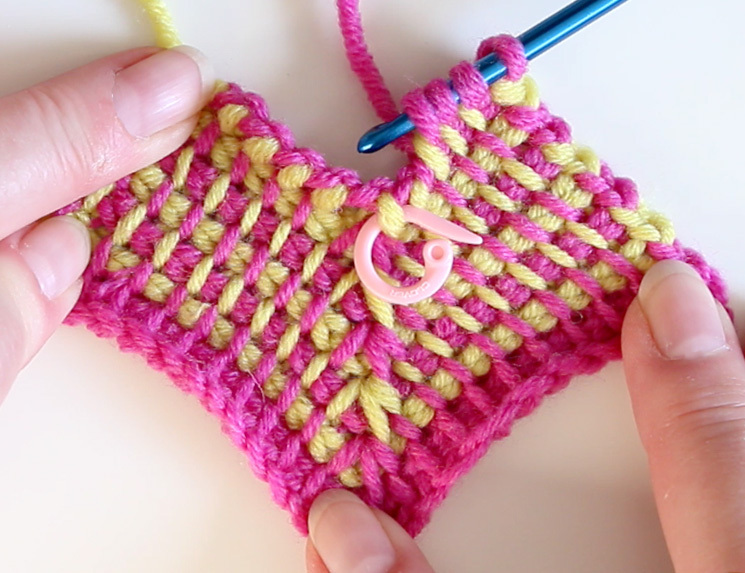 The first Tunisian crochet video shows you how to start, how to make the foundation row and how to change colours to get two colours on one row. 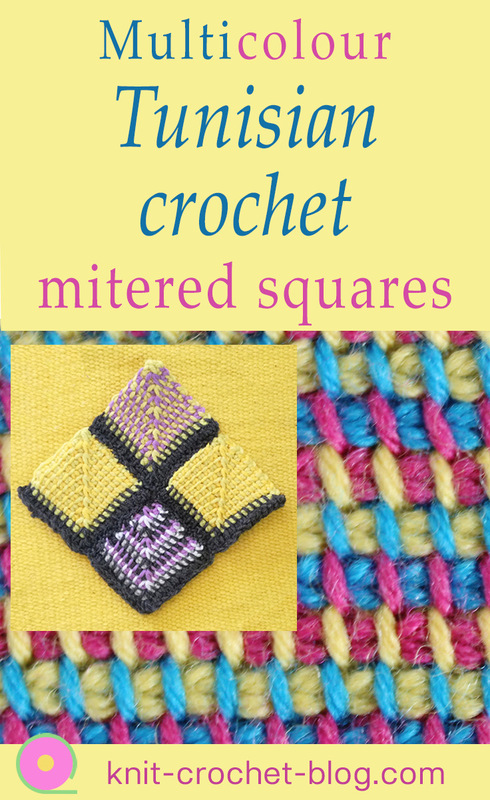 The second video goes on from the first, showing you how to use the same technique to make a mitered square.